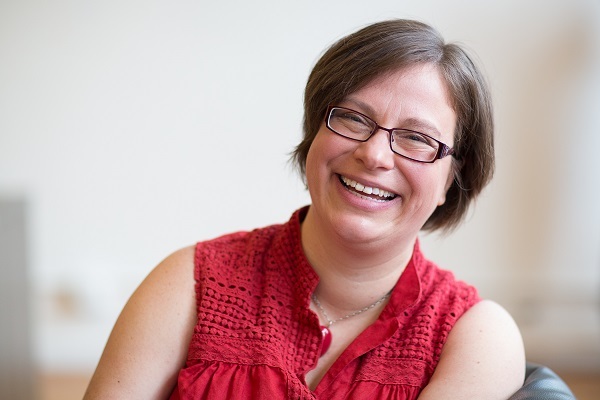 In this interview with Gena Bean, we talk about the programs that Gena is developing at Mindful Boston, which include and go beyond Mindfulness-Based Stress Reduction. I was especially taken with Gena’s description of learning “mindful vacuuming” at the Kripalu Center (about 2 minutes in). As yoga practice, we were cleaning bathrooms, we were vacuuming and it was a form of yoga because we were integrating present moment awareness. I was literally trained on how to mindfully vacuum and it was one of the most profound spiritual lessons of my life. Mindful vacuuming is a form of mindful manual labor, which I present in chapter 16 of my book, Secular Meditation. This time of year, the need to gather up leaves provides an excellent opportunity to practice mindfulness. If you use a rake (emits less carbon than a leaf blower), you can hear the crunch of the leaves, the scratching of the rake’s tines, and observe the colors, shapes and aroma of the leaves. What a pleasure! 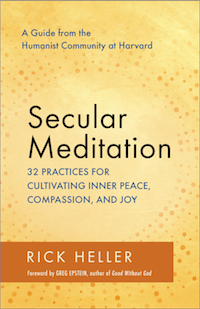 Join me for a reading (and meditation) from my new book, Secular Meditation: 32 Practices for Cultivating Inner Peace, Compassion, and Joy — A Guide from the Humanist Community at Harvard. The Humanist Hub is accessible through an elevator. Parking is difficult in Harvard Square, though on Sundays, parking is allowed in residential areas. 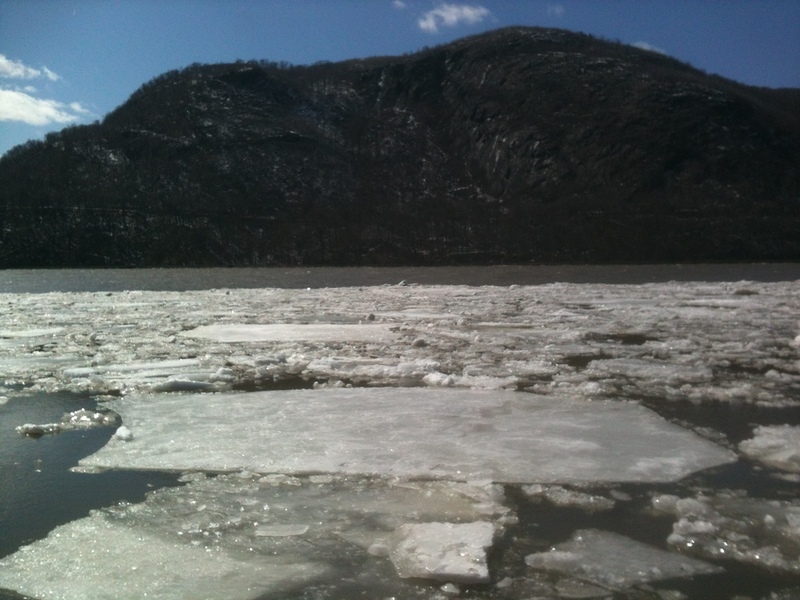 There is a parking garage two blocks away at 65 JFK St. The book arose out of the Humanist Hub’s Mindfulness Group (aka Cambridge Secular Buddhists), and presents meditations we’ve done in the group and reflects our discussions after the meditations. It includes the personal stories of several members of the group who agreed to interviews. I have led many of the meditations at the group over the last five years. It’s June, and time for weddings. This past Sunday, I attended the wedding of a relative of my wife’s. The venue was nice. The bride was beautiful and the ceremony was pleasantly secular. No issues there. I even practiced a bit of loving-kindness meditation during the reception to produce a general feeling of good-will toward all these people I’d never met before who how shared the room with me. But as relatively distant relatives, we were seated at the “cousin’s table” with a number of people we did not know. I tried to engage in conversation with the women next to me, who, I believe, was my wife’s cousin’s wife’s cousin’s wife. At first, we tried talking about where we were from. That topic lasted for a couple of minutes but was quickly exhausted. After some uncomfortable silence, I turned to converse with my wife and she with her husband. All the while, I was engaged in some self-criticism about how I was not that outgoing and that other people could easily strike up a conversation with anyone. Then I caught myself in this critical self-talk and decided to offer myself self-compassion, along the lines of that taught by the psychologist Kristin Neff. Just because I wasn’t great at conversation didn’t mean I should beat myself up and have a lousy time at the wedding. That brought me back to equanimity. A bit later, my neighbor tried to open a new topic of conversation by asking what I did for work. I’d actually avoided this obvious question, because sometimes people don’t really want to talk about their work on a social occasion. However, it turned out well. I mentioned that I was a writer coming out with my first book, which is called Secular Meditation. It turned out that she was very much into mindfulness and we had quite a bit to talk about for the rest of the evening! When you first meet someone, it can be difficult to identify a common interest. But a willingness to put up with initial awkwardness, with compassion for yourself and the person you are talking to, can perhaps make it easier to eventually find a way to make a connection.